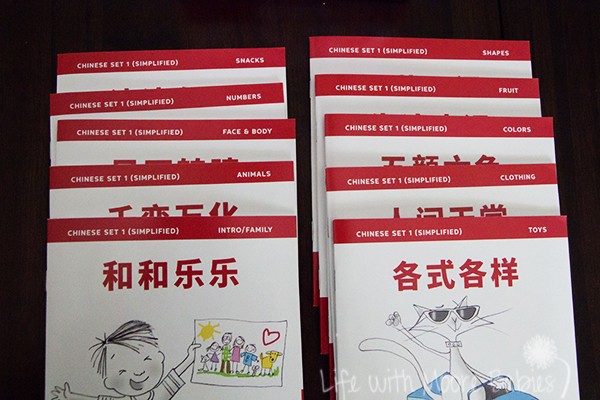 A year ago, when we were choosing a foreign language to teach the girls, my oldest piped up with "Chinese, Chinese!" 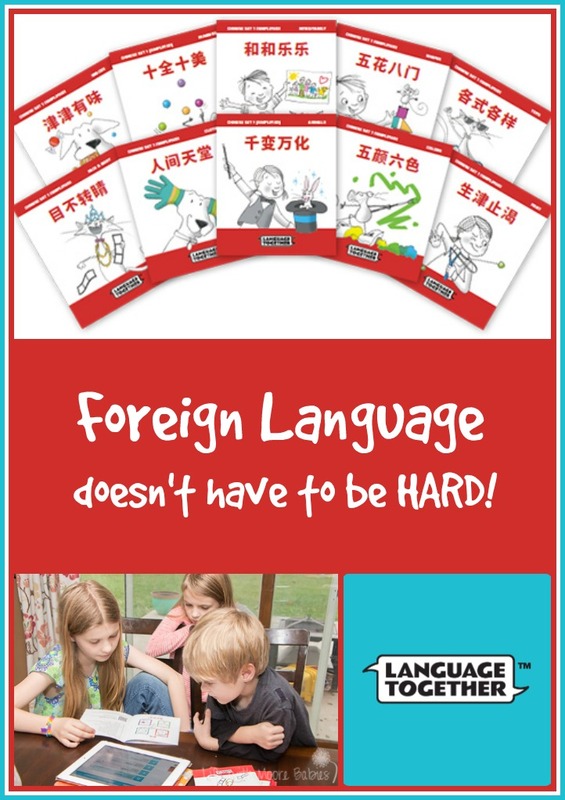 As a homeschooling parent who only speaks one language, I had no idea how I could even begin to teach a foreign language, let alone one as complex as Chinese, so at that time we did not pursue it. 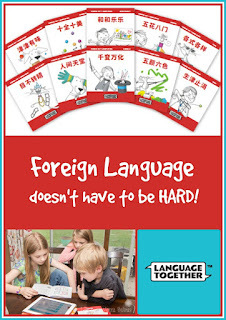 I was excited to see if this curriculum really could make it simple to learn a foreign language. When it arrived I was surprised by the simplicity of the materials. 10 little books, just 10 little books. At first, I had no idea where to start! Luckily in the back of each book is a web address where you can hear the story read to you; we used it on the iPad. There is also a QR code, so you can scan it into your phone to listen making it extremely portable. I sat the kids down with the iPad and the books. They started listening, and then they started repeating. You are probably wondering if they had any idea what they were hearing or saying. I would guess at first probably not. The older girls could easily flip to the front or back cover to find the translation if needed, but the books use The Spot Color Immersion Method. This means the pictures are entirely black and white except for the portion that represents the keyword being taught, and then the word and the picture for the words are the same color. My kids listened to 3 of the books several times the first time they sat down with them. Over time, they will begin to associate the words with the color coded pictures which is basically how toddlers acquire their first language, by seeing an object and being told what it is. This is really a clever way to learn a foreign language. As an adult, this method confused me at first, as if it were too simple, but the simplicity makes it great for younger kids. The books are small with illustrations and few words which means they are not at all intimidating for young children. I was also curious about the writing aspect. 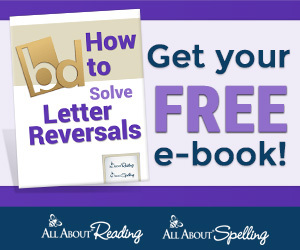 This level 1 curriculum does not include any writing instruction, so it can work well for many age levels. 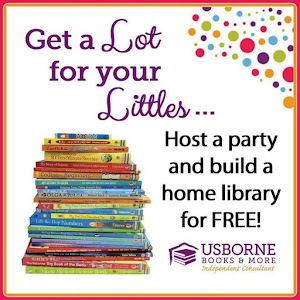 I would have liked a bit more information included about ways to use the curriculum with your kids; as it would have decreased my own confusion, but it looks like a teacher's guide will be offered soon. As it is, my 9, 8, and 5 year-old can use the Language Together curriculum on their own, giving me a break while they still get instruction! 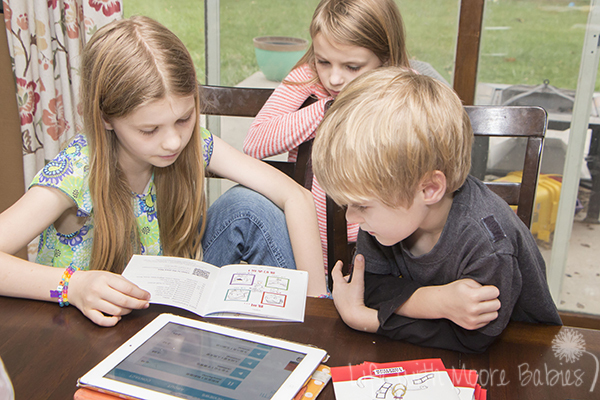 As a homeschool parent, you want your kids to be able to explore their own interests. What seemed an impossibility just a year ago, may be possible after all. 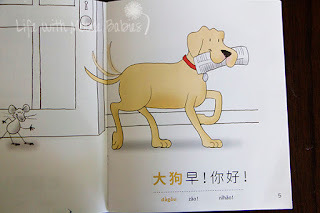 Maybe my daughter really can learn Chinese and do so fairly independently which is a plus for her strong-willed nature. 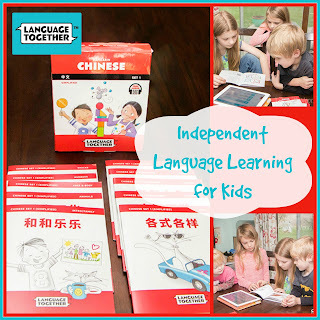 Language Together has put together a great way to introduce young kids to a foreign language even if you have no prior background, even a language as complex as Chinese! They also offer curriculum for English, Spanish, and traditional Chinese. Plus, they are adding French in the next year too. For those homeschooling young children (4-10), Language Together is a great way you can provide your child with a foreign language even if you don't have one!